Facial recognition is totally unproblematic, right? Who will guard the guards? Amazon! Amazon has released guidelines for facial recognition software that it wants lawmakers to consider when crafting legislation. With the post, Amazon joins Microsoft in calling for regulation of the technology, and notably, its application in law enforcement. As the ACLU points out, Amazon’s suggestions place the burden to prove “misuse” of the technology onto the people using the tech — not onto the manufacturer, Amazon. Surprise! “Proposing a weak framework does not absolve Amazon of responsibility for its face surveillance product,” Neema Singh Guliani, ACLU senior legislative counsel, told Mashable over email. And to Amazon’s denial, the ACLU says: nope. “Amazon says it has not received a single report of misuse by law enforcement, but just last week was made aware of misuse and reportedly took no action,” Singh Guliani said. However, Amazon stands by the sheriff’s office’s use of the technology, calling it a “good example of the use of facial recognition to assist law enforcement and improve public safety,” in a statement sent to Mashable after this post was initially published. Amazon describes Rekognition as a “21st century mugshot booklet”and one tool among many used by police. “From the start, the Washington County Sherriff’s Office has been fully transparent about its use of the technology and the policies that govern it, and it has engaged in ongoing, open dialogue with local legislatures, representatives, and the general public around its use. During the two years of its use, there has never been a single reported complaint from the public and no issues with the local constituency around their use of Rekognition,” Amazon wrote in the statement. Amazon’s most far-reaching suggestion in its proposed guidelines is that all existing civil rights legislation apply to facial recognition technology. That is, facial recognition should be held accountable if it plays a part in discriminating against protected groups. The note also suggests that law enforcement use facial recognition in a human-moderated and limited capacity for its investigations. 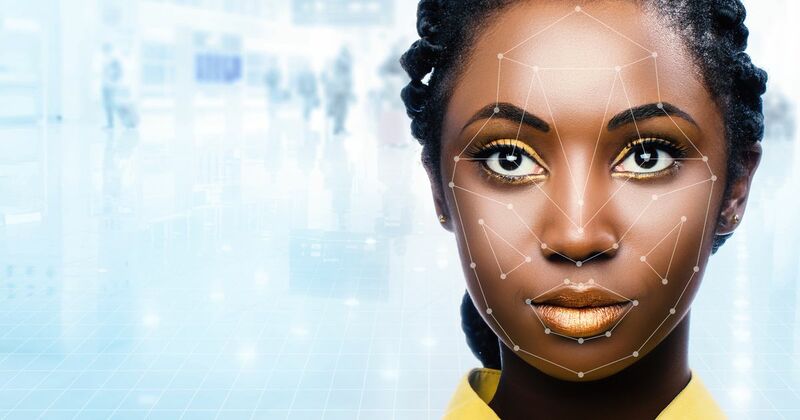 Amazon suggests that human review of facial recognition results must accompany investigations, and that facial recognition be held to the 99 percent confidence threshold. (Again, Washington County police told Gizmodo it doesn’t do this.) Additionally, Amazon recommends that law enforcement release transparency reports about its use of the technology. In public spaces outside of law enforcement, Amazon says it supports a national legislative framework governing how companies can use facial recognition commercially. It suggests that placards be put in place notifying people when facial recognition is being employed. Are Amazon’s suggestions significant for protecting people’s civil rights and privacy? Well, the ACLU is not impressed. “Amazon’s framework rings woefully hollow, underscores the company’s refusal to properly address the dangers of its technology in government hands, and reinforces the urgent need for Amazon to get out of the surveillance business altogether,” Singh Guliani said. For one, there is almost no legislative teeth that would apply to Amazon itself in the company’s suggestions. Instead, it stresses: “Our customers are responsible for following the law in how they use the technology.” This is akin to saying we just make the tech, and it’s up to people to use it lawfully. This in itself is a legislative position that should not necessarily be a given. And, in perhaps the most stunningly obvious objection to Amazon’s suggestions, the ACLU points out that there is no law that authorizes government agencies to use facial recognition in the first place. “Amazon says that face recognition should not violate the law, yet it ignores the fact that there is no law on the books authorizing its use by law enforcement at all,” Singh Guliani said. Technology companies have a long history — stretching back to the era of railroads — of taking a hand in crafting the very legislation that govern their own activities. It is a pre-emptive strike that allows companies to say “we are in favor of regulation,” while also making sure that the regulation is not too cumbersome. “Industry has a role in participating in the public debate over issues, but we should be wary of proposals pushed by industry that are not in the public good,” Singh Guliani said. So when Amazon — or any private company, really — says it is “in favor of regulation,” make sure to take a closer look at who’s really benefiting from its “suggested” rules. UPDATE: This post has been updated to include a statement from Amazon defending the Washington County Sheriff’s Department in Oregon and their facial recognition software.